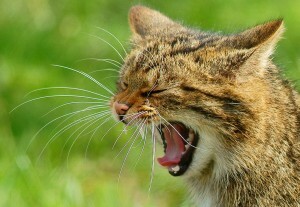 A mysterious and elusive animal, the Scottish wildcat is one of the largest remaining mammal predators in the country. Wolves, lynx and bears have not been able to survive the persecution of man, but the Scottish wildcat still remains after nearly 500 years of the same pressures. However, with an estimated population of 400 there is great concern for their future; it is estimated they may become extinct in the next 5 years. These animals still face direct persecution from man: they are illegally shot and trapped in snares on a regular basis because of the threat they pose to game. It is extremely hard to police such activities, because the Scottish highlands are so vast. Snares are a particular nuisance as they are non-specific and can catch and strangle a variety of species. There is a lot of support to make these devices illegal. 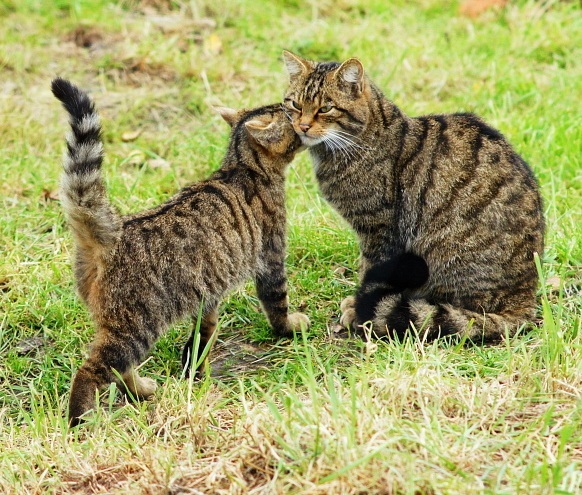 If they are not prohibited, they will continue to pose a significant threat to the wildcat and other Scottish wildlife. In my view, they are incredibly unethical and I am surprised that these inhumane devices are still legal today. Eco-tourism may be the saviour of the wildcat, as shooting estates are found to be more attractive to visitors if they have a wild cat in residence. Another important threat to the wildcat is hybridisation. Domestic cats are descendants of wildcats, so if the two were to breed they would produce fertile offspring, a “hybrid”. There are currently around 100,000 feral cats in Scotland and only 400 wildcats. Since the population of wildcats is widely spread throughout the highlands it is easier for them to find a feral mate than another wildcat. This is a concern, because wildcat genes may become diluted into a population of hybrids, resulting in the loss of true wildcats. To combat this problem there is a big focus on capturing and neutering feral cats. Currently there is a project underway to create 7000 square miles of habitat free from feral cats and the diseases they transmit, such as the feline leukaemia virus. This site is called the Wildcat Haven. The Scottish wildcat, also known as the Highland tiger, has become a legend throughout the Highlands because it is so elusive. 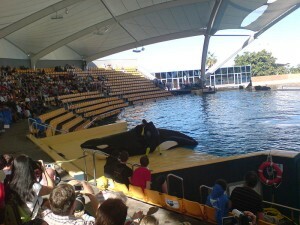 There are many tales surrounding these animals, some creating fear and others highlighting their courage and perseverance. It would be a great shame if stories are all we have left to tell about these fascinating animals.